This brochure is intended to help readers with taking their own road to resilience. The information within describes resilience and some factors that affect how people deal with hardship. Much of the brochure focuses on developing and using a personal strategy for enhancing resilience. Resilience is the process of adapting well in the face of adversity, trauma, tragedy, threats or significant sources of stress — such as family and relationship problems, serious health problems or workplace and financial stressors. It means "bouncing back" from difficult experiences. Research has shown that resilience is ordinary, not extraordinary. People commonly demonstrate resilience. One example is the response of many Americans to the September 11, 2001 terrorist attacks and individuals' efforts to rebuild their lives. Resilience is not a trait that people either have or do not have. It involves behaviors, thoughts and actions that can be learned and developed in anyone. A combination of factors contributes to resilience. Many studies show that the primary factor in resilience is having caring and supportive relationships within and outside the family. Relationships that create love and trust, provide role models and offer encouragement and reassurance help bolster a person's resilience. Some variation may reflect cultural differences. A person's culture might have an impact on how he or she communicates feelings and deals with adversity — for example, whether and how a person connects with significant others, including extended family members and community resources. With growing cultural diversity, the public has greater access to a number of different approaches to building resilience. Some or many of the ways to build resilience in the following pages may be appropriate to consider in developing your personal strategy. Move toward your goals. Develop some realistic goals. Do something regularly — even if it seems like a small accomplishment — that enables you to move toward your goals. Instead of focusing on tasks that seem unachievable, ask yourself, "What's one thing I know I can accomplish today that helps me move in the direction I want to go?" Letting yourself experience strong emotions, and also realizing when you may need to avoid experiencing them at times in order to continue functioning. Stepping forward and taking action to deal with your problems and meet the demands of daily living, and also stepping back to rest and reenergize yourself. Spending time with loved ones to gain support and encouragement, and also nurturing yourself. Relying on others, and also relying on yourself. Self-help and support groups. Such community groups can aid people struggling with hardships such as the death of a loved one. By sharing information, ideas and emotions, group participants can assist one another and find comfort in knowing that they are not alone in experiencing difficulty. Books and other publications by people who have successfully managed adverse situations such as surviving cancer. These stories can motivate readers to find a strategy that might work for them personally. Online resources. Information on the web can be a helpful source of ideas, though the quality of information varies among sources. For many people, using their own resources and the kinds of help listed above may be sufficient for building resilience. At times, however, an individual might get stuck or have difficulty making progress on the road to resilience. 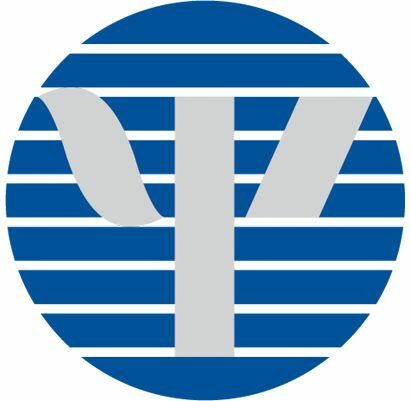 A licensed mental health professional such as a psychologist can assist people in developing an appropriate strategydyvqbeftvysyzfdtfwyrxxfff for moving forward. It is important to get professional help if you feel like you are unable to function or perform basic activities of daily living as a result of a traumatic or other stressful life experience. Different people tend to be comfortable with somewhat different styles of interaction. A person should feel at ease and have good rapport in working with a mental health professional or participating in a support group. To help summarize several of the main points in this brochure, think of resilience as similar to taking a raft trip down a river. On a river, you may encounter rapids, turns, slow water and shallows. As in life, the changes you experience affect you differently along the way. Perseverance and trust in your ability to work your way around boulders and other obstacles are important. You can gain courage and insight by successfully navigating your way through white water. Trusted companions who accompany you on the journey can be especially helpful for dealing with rapids, upstream currents and other difficult stretches of the river. You can climb out to rest alongside the river. But to get to the end of your journey, you need to get back in the raft and continue. Information contained in this brochure should not be used as a substitute for professional health and mental health care or consultation. Individuals who believe they may need or benefit from care should consult a psychologist or other licensed health/mental health professional. Lillian Comas-Diaz, PhD, Director, Transcultural Mental Health Institute, Washington, D.C.
Suniya S. Luthar, PhD, Teachers College, Columbia University, New York City, N.Y.
Salvatore R. Maddi, PhD, The Hardiness Institute, Inc., University of California at Irvine, Newport Beach, Calif.
H. Katherine (Kit) O'Neill, PhD, North Dakota State University and Knowlton, O'Neill and Associates, Fargo, N.D.
Karen W. Saakvitne, PhD, Traumatic Stress Institute/Center for Adult & Adolescent Psychotherapy, South Windsor, Conn.
APA, located in Washington, D.C., is the leading scientific and professional organization representing psychology in the United States. 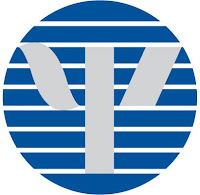 APA works to advance psychology as a science and profession and as a means of promoting health and human welfare. Discovery Health Channel takes viewers inside the fascinating and informative world of health and medicine to experience firsthand, compelling, real life stories of medical breakthroughs and human triumphs. From the people who bring you the Discovery Channel, the most trusted brand on television, Discovery Health Channel is part of a major, multi-media business designed to help consumers lead healthier, more vigorous lives. Discovery Health Channel and Discovery.com/health were formed by Discovery Communications, Inc. (DCI), a privately held, diversified media company headquartered in Bethesda, Md.